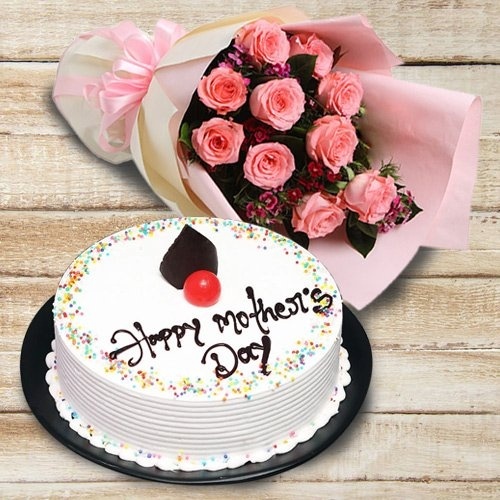 Engage in true spirit of Mothers Day celebration with this Magnificent Pink Roses Bouquet and Cake for Celebration and make your mother scream in excitement. This 12 Pink Roses Bouquet with 1/2 Kg. is the perfect gift for your dear ones.